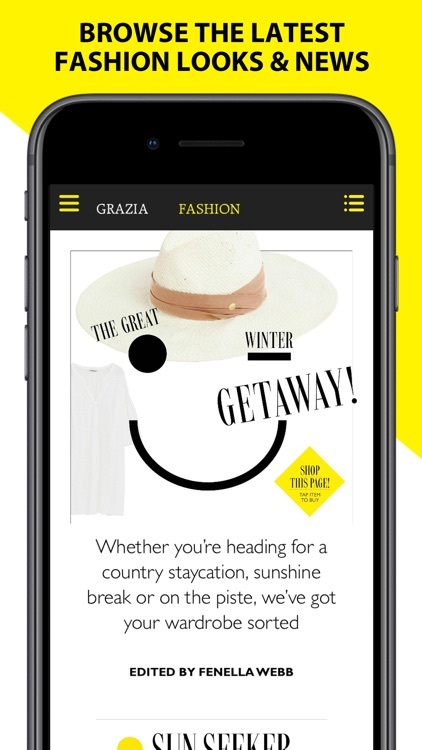 The Grazia app is the one-stop mobile content hub for the Grazia brand. 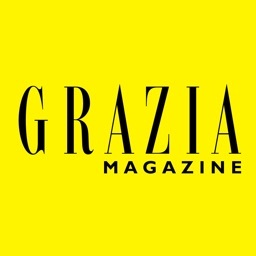 It includes the weekly magazine (designed for your device), Grazia Plus, a free content channel & direct access to GraziaDaily.co.uk and Grazia's social channels. Install now and get one issue totally FREE – join our women’s magazine today and be inspired! 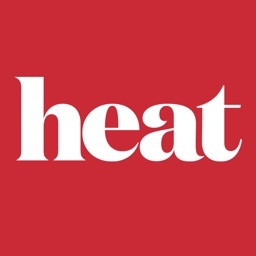 Combining celebrity exclusives with thought-provoking features and agenda-setting fashion, we pride ourselves on being an award-winning, interactive fashion magazine for smart and savvy women. Brush up on all your fashion and celebrity news – with a new issue every single week you can make sure you’re up to date and in-the-know with the Grazia women’s magazine. Read interviews with your favourite celebrities like Lupita Nyong’O, Hayley Atwell and more! We’re not just a fashion magazine; we ask the important questions about life, work and everything important to you. Why not catch up on all the behind-the-scenes fashion and celebrity news? 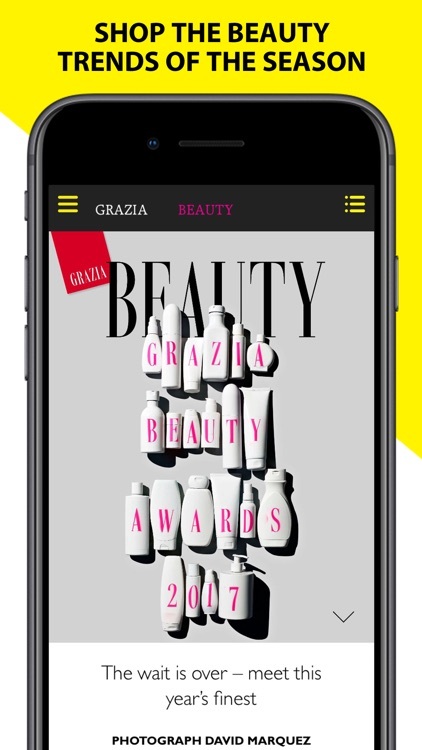 The Grazia fashion app is your invitation to peek behind the curtain at all the hottest fashion catwalks and the biggest red-carpet events. 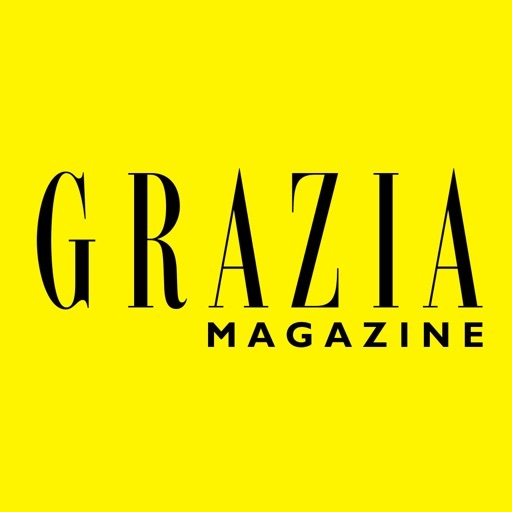 Keep your finger on the pulse with the Grazia women’s magazine app. With features on the latest trends in beauty and clothing, you will never run out of inspiration to up your style game. From the iconic Chart of Lust to the latest fashion and beauty charts, Grazia magazine brings you the hottest fashion news and the latest cult beauty products. We help you discover your next makeup obsessions or the hottest looks of the season – never miss a beauty trend again! 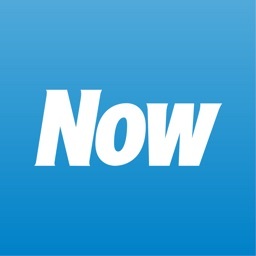 You can recreate makeup looks and clothing with one tap. 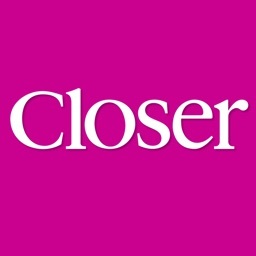 If you find a product that tickles your fancy, our women’s magazine means you can buy your favourite makeup or fashion items directly off the page. Recreate all your favourite celebrity’s new looks or discover clothing dupes – with the Grazia app it’s easy to find your own personal style. With an abundance of makeup and hairstyle how-to’s, Q&As with models and celebrities alike, top lists covering this year’s must-buy Christmas present to the hottest holiday destinations, Grazia is the essential fashion magazine for women. • DOWNLOAD ISSUES. We get how busy life can be - download issues so you can read offline whenever you like. Catch up on all the hottest fashion news and beauty trends – on the bus, on holiday, whenever and wherever! • ARCHIVE A PAGE. Found a look you’re obsessed with? 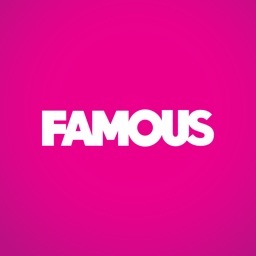 How about a feature on the latest celebrity news? It’s now easier than ever to return to your favourite articles – simply bookmark the page and come back later! • SHOP IN THE APP. Tap on a look you love and you’ll be taken to the site to buy. 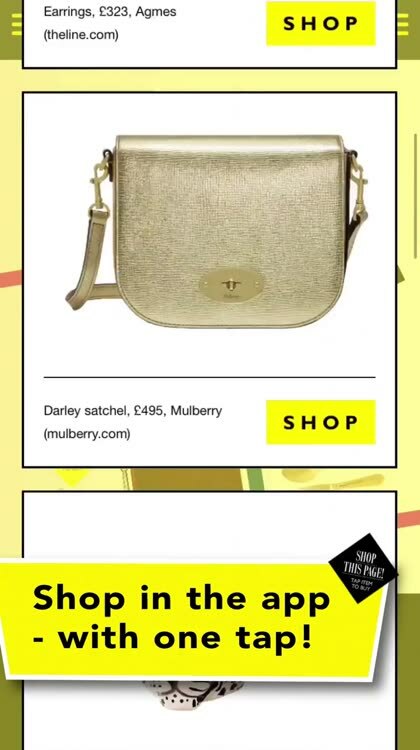 Shopping has never been easier with the Grazia women’s magazine app! All this and more with the UK’s hottest fashion magazine! £4.99 per month – just £1.17p PER ISSUE! £59.99 per year – just £1.17p PER ISSUE! 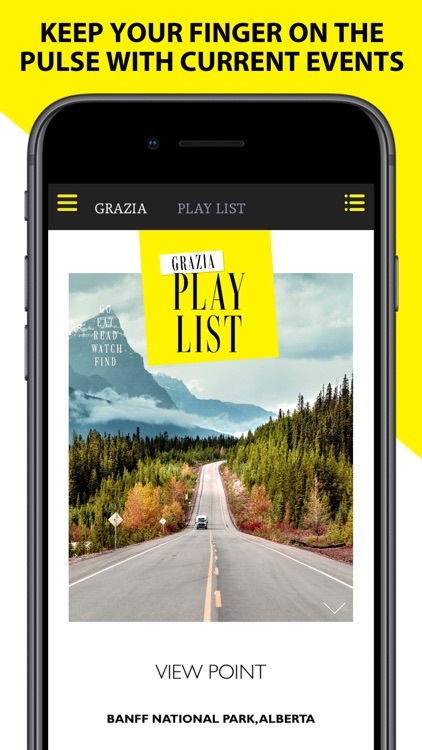 The Grazia app is built for devices running 64-bit processors, or greater. Older devices with less powerful processors, such as the iPad 2 and iPad Mini 1, may have difficulty operating this app.